This is an update on developments in Congress last week regarding Tax Reform. The House Ways and Means Committee passed its tax reform package out of committee last week on a party line vote. A floor vote in the House is expected this week (likely to be November 16th). The Senate released its Finance Committee proposal on Thursday November 9th. 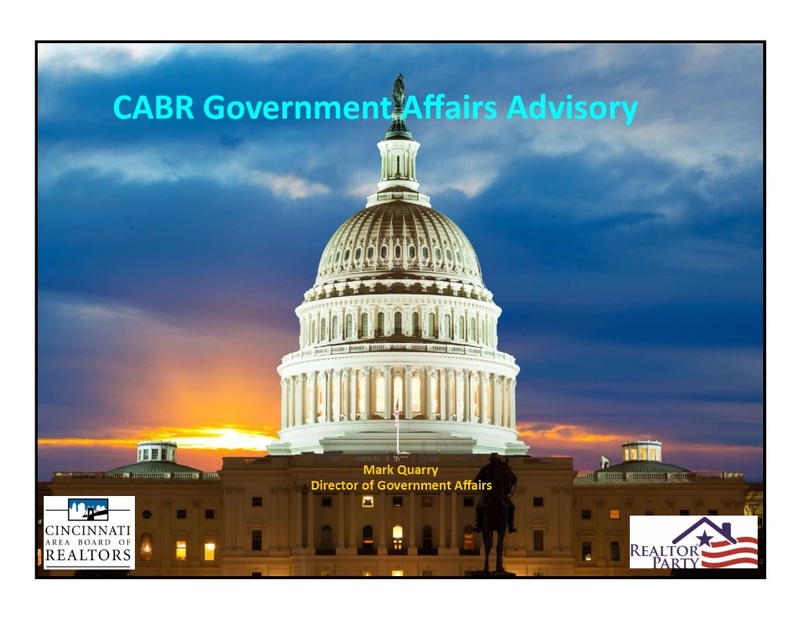 NAR staff is working to update the previously-released Talking Points. There are differences between the House version and what the Senate has released. The Senate’s version fully repeals all state and local taxes not connected with a business or investment property, while the House bill retains property with the $10,000 cap. The Senate’s version does not lower the MID cap to $500k or deny the deduction for second homes. However, it is a bit harsher on home equity loans. Click here for a Forbes.com article about the Senate plan. REALTOR® Member FPC’s (Federal Political Coordinators) from across the country will meet with their Members of Congress this week during a targeted fly-in to Washington D.C.
NAR is launching a series of in-district internet based video commercials asking Members of Congress to vote against the legislation. 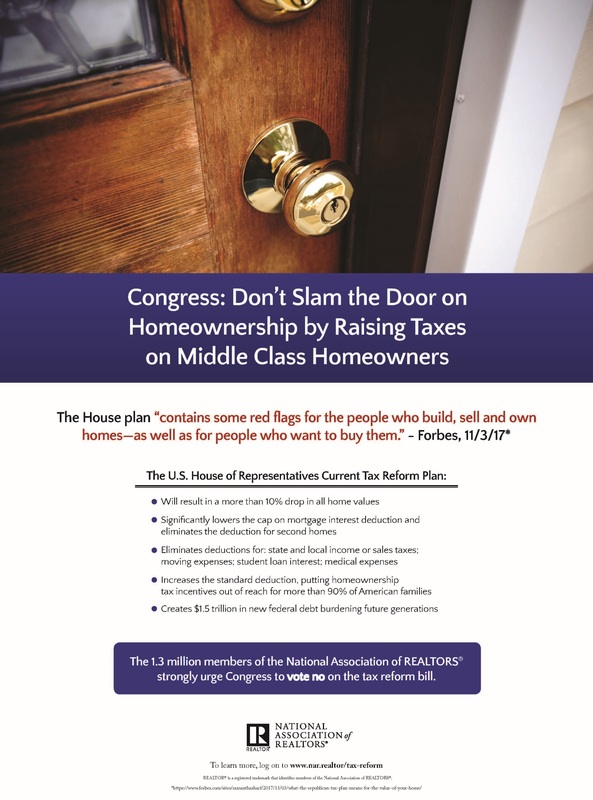 NAR is also running localized ads in Capitol Hill publications (Politico, The Hill). The online ad and text will complement the graphic used in the print ad (a door closing – shown below). We will continue to keep you updated as developments occur.